The French Navy has successfully completed the first aerial target live fire of the US Navy’s GQM-163A Coyote Supersonic Sea Skimming Target (SSST), off the Ile du Levant coast, France. During the trials, the French Navy’s Horizon-class air defence frigate, Forbin successfully tracked the GQM-163A SSST and intercepted the Coyote target with an Aster 30 surface-to-air missile in flight. 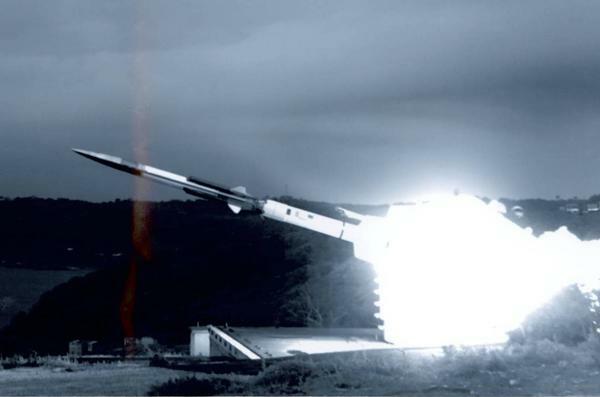 The SST was launched form the Direction Generale de l’Armement’s (DGA) missile test centre based on the Ile du Levant in the south of France. Meanwhile the other French Navy Horizon frigate, the Chevalier Paul, also tracked the target and fired the missiles at very low altitude. The test was conducted by France’s military procurement agency DGA in corporation with the Navy Aerial Target and Decoy Systems program office (PMA-208) and Orbital Sciences Corporation (OSC). The test was aimed to validate the French Navy frigates’ ability to strike a supersonic threat flying at sea-skimming altitude in a complex operational scenario. The Coyote programme, managed by the Naval Air Systems Command (NAVAIR), has been designed to provide an SSST system to simulate high-speed anti-ship cruise missiles for fleet training and weapon systems research, development, tests and evaluation. OSC-built Coyote target missile design integrates a four-inlet, solid-fuel ducted-rocket ramjet propulsion system into a compact missile airframe. The French Navy Horizon-class air defence frigates feature Principal Anti-Air Missile System (PAAMS), which include Aster 30 and Aster 15 missiles, and an anti-air weapons system to counter missiles threats. The ships can be used for high-intensity operations as well as interventions in crisis areas due to its electromagnetic discretion and the ability to detect and decoy missiles. Image: A French air defence destroyer launches the US Navy’s GQM-163A Coyote Supersonic Sea Skimming Target. Photo: French DGA.